Fidelity Investments Review: Are There Better Options? Fidelity is a multinational corporation that was founded way back in 1946. With its $2.4 trillion in client assets and more than 19 million retail brokerage accounts, it’s certainly one of the leaders in the industry. It’s also known for astounding research, great customer support, their tools, and mobile app, as well as extensive retirement services. Much like many other leaders in the industry, Fidelity uses a clear-cut, flat-free commission structure. 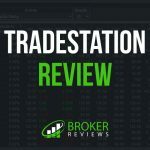 They charge $4.95 per stock and additional $.65 per contract for options trades. They also have 12,505 mutual funds. More than 4000 of these are actually No Transaction Fee funds. Regular ones are $49.95. In contrast to most other brokers, they charge only for the original purchase, with no further charges. Fidelity also offers 91 free ETFs, which is less than with some other brokers. Still, it’s a decent amount. Probably the most important thing to point out is that they provide full transparency and execution quality. It’s the only company which provides clients with a raw savings score. It’s no wonder that it’s considered the best by many users. One of Fidelity’s strongest assets is research. With each research and quote, you get a neat layout with core financial metrics. The layout also includes ratings, graphs, news and many more. Ratings come with 12 third-party reports. This is more than any other broker offers. Of course, there are many reports for ETFs, too. The design of the website is truly astounding. It’s easy to use, mobile-friendly, the layout is fantastic, as well. And this applies to all devices, desktop, laptop or smartphone. The visuals and the key placements are what makes it so convenient. The list of well-executed ideas goes on. Their screening and market analysis are also excellent. 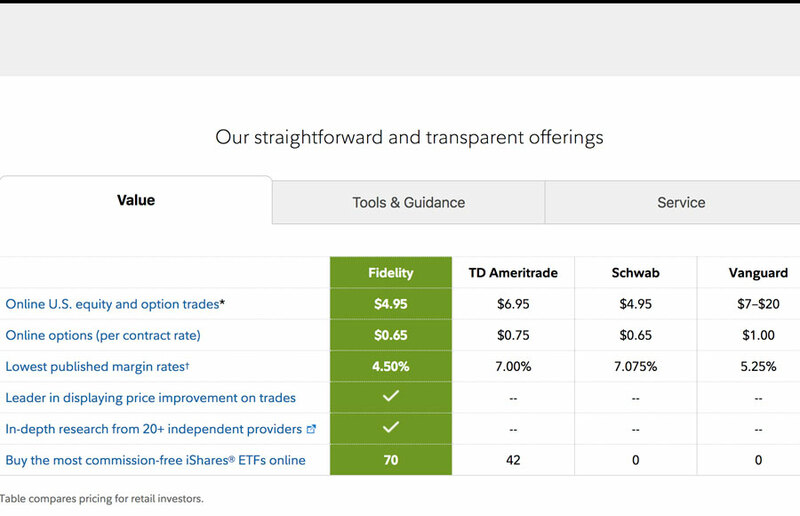 Fidelity’s active trader services include Active Trader Pro and Wealth Lab Pro. Active Trader Pro is both web and desktop based, whereas Wealth Lab Pro is only for the desktop. Another thing is, these platforms aren’t automatically accessible to everybody. To be qualified to access, you must make more than 36 qualified trades in a 12 month period. Instead, you must phone them to ask for access. 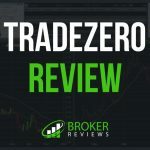 Active Trader Pro is, as mentioned, a platform that is both web and desktop based. The desktop platform is great when it comes to the design. It’s clean and straightforward. After you’ve logged in you can see the Daily Dashboard and many other features. Fidelity also has a prominent Real-Time Analysis feature. You can set your preferred filters and a watchlist or portfolio, and the Analysis will stream during the day. How they could expand this tool is by integrating custom signals that customers can set. This way it would be even more personalized and easy to use. Fidelity also stands out with their charting. Aside from having great and clean layouts and many customizing tools, they also introduced a new tool – Trade Armor. 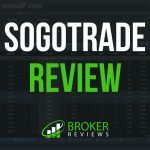 It is supposed to help you monitor active positions and show you the prospects and value of your open positions. Options traders are the ones who will find Active Trader Pro most useful. However, if you do not fill the requirements for it, you can still access the real-time quotes watchlist on their website platform. In 2017, they introduced yet another tool, Option Trade Builder. This should help option investors with less experience refine their trades according to data, sentiment, and education. But, since it’s new, it seems to be a bit limited. It supports only basic strategies, and you need to do all the work. It still has a long way to come, but it’s a good idea. It is available for both Android and Apple devices. Those who have tested the app are certainly satisfied. It works seamlessly and has no bugs. Just like with their other platforms, it provides a personalized feed and is easy to navigate. There’s a clear view of international market summary, also financial news. The best thing is, it’s ad-free. Although the app appears good, there is still room for improvement. It has problems with charting. There are not enough indicators, and they are not customizable. You also cannot make rapid-fire trades. The app should cater more to active traders. Fidelity certainly excels when it comes to educational content. Customers have access to various articles, videos, courses, etc. They are well organized and sorted by experience level, type or category. Another great thing is their retirement education. There are many interesting tools that you should check out: Retirement Score, Income Strategy Evaluator, Financial Checkup and many more. 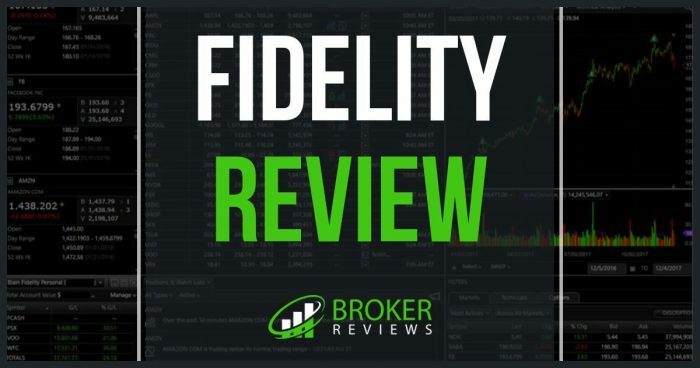 Fidelity is without a doubt a great choice for investors of all kinds. Although it’s been praised by many, it still continues to grow and improve every day. Their 19 million customers surely confirm that Fidelity Investments is a fierce competitor in its industry. 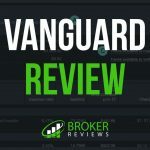 Firstrade Review: How Does This Broker Stack Up?